Seattle Rhinoplasty Expert Dr Philip Young created his Rhinoplasty Anatomy Page to help you understand your Rhinoplasty Procedure better. Rhinoplasty is a complicated procedure with a lot of terms and sometimes your surgeon may use these terms not knowing that you have no idea what they are talking about. 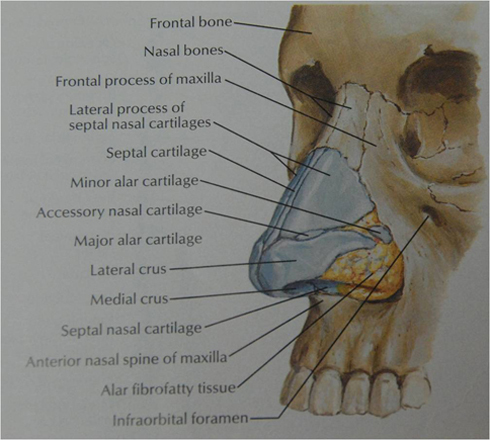 So this page helps introduce some of the more common terms we Rhinoplasty Surgeon‘s use. Glabella: This is the point between the eyebrows. It is a non distinct point as far as most people seem to know. 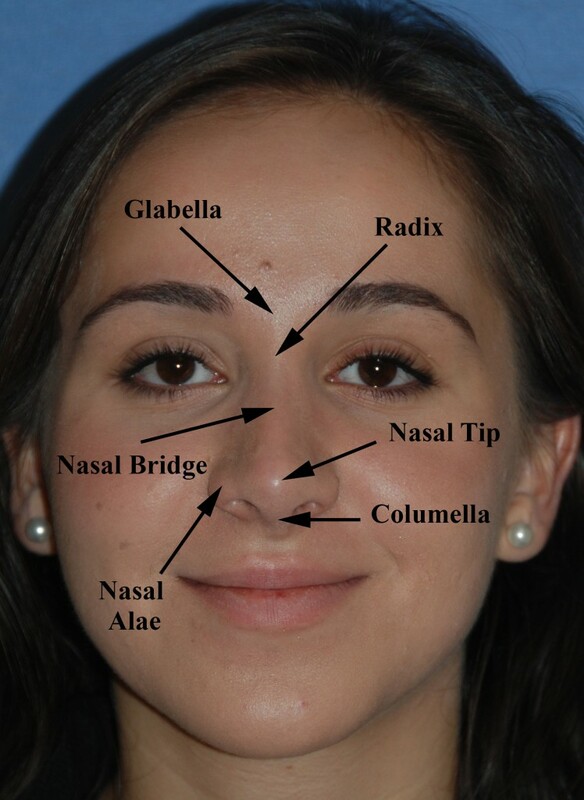 Radix: This is the bony lowest dip between the frontal bone and glabella and the root of the nose. 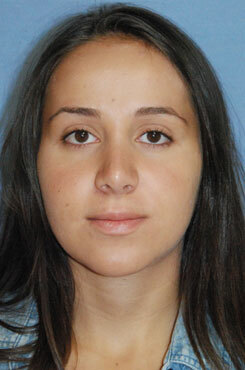 Please click on this link to learn more about Rhinoplasty Anatomy. 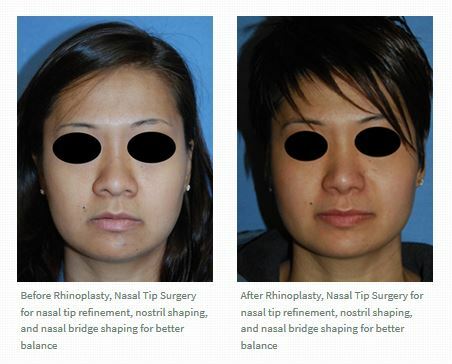 This was a question answer session on Rhinoplasty for a person with Asian ethnicity that was wondering about augmentation for the bridge and the nasal tip. Asian and Ethnic Rhinoplasty can many times mean augmentation or the need to add tissue to shape the nose. This is more common in the Asian Clientele. Often times the cartilage in their nose tend to be weak, disjointed, soft and unlike normal cartilage anatomy. Also the resources of cartilage in the septum tend to be scant and weak as well. Hence, other resources can sometimes be needed such as the ear and rib. The rib tends to be the last resort given the invasiveness of the approach. Medpor can sometimes offer some building materials and this has worked well in the Ethnic Asian Clientele. 1. Do you think I have enough cartilage for my bridge and tip without going to the ribs? Yes I do. The limitation would be how high you can make your bridge and how much you would need for your nose. One ear cartilage can be used for the tip and the other used for the bridge. We would also harvest all we could from your septum including bone and cartilage. 2. Would there ever be a need to remove an implant made from cartilage? . You shouldn’t if you like it. Once formed you can also alter it. Medpor is something that can be altered as well. It starts acting like your own tissue at 12 weeks. But I understand the fear of implants and natural cartilage is the best. 3. Some websites say that implants from cartilage can get absorbed or warped over time. How much chance is there of that? .They would be absorbed in the first few months but not later. Warping is more of an issue with rib cartilage. The ear cartilage is minced and takes on what you shape it into. 4. Some literatures also indicate that cartilage donor sites can die. Is that possible and if so what will happen? .donor sites? Not sure about what exactly your asking but this is not something that has been a problem. Click to hear what patients are saying about Seattle’s Dr Philip Young here: Seattle Dr. Philip Young Rhinoplasty Reviews. We wanted to discuss steroid injections to the nose and introduce our video on this subject with a live demonstration of the steroid injections. Click here to watch our Video: Post Rhinoplasty Steroid Injection Video. We use Kenalog and low dosage. We also dilute the kenalog to make it so the results are more subtle, slower, conservative and with less complications. Steroid injections to the nose are best used if there are localized areas of swelling and not general swelling. If it is generally swollen, we like to give oral steroids like a medrol dose pack. You can go on to rxlist.com to read about the risks and benefits for your own knowledge. Some people are afraid of steroid injections. The complication of steroid injections include that the skin can get thinned out and there can be dents that form if you dont do the steroid injections correct and in the wrong plane. The key to doing the injections is getting it in the right plane which we have a lot of experience doing. Also we stay away from strong dosing of steroid injections. We like to do low dose steroids, diluted and more frequent. This cuts down on a lot of the complications that you can get with steroid injections. 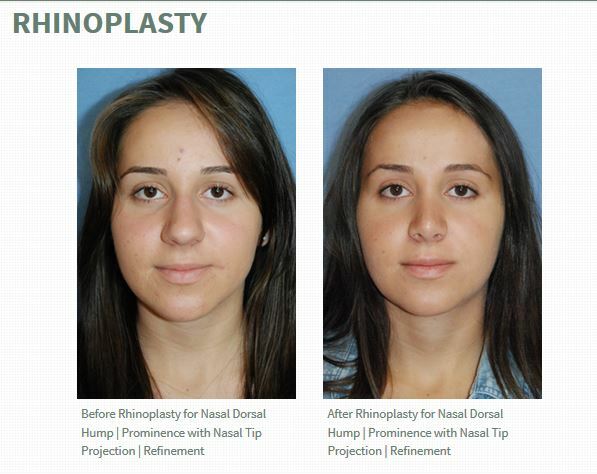 Rhinoplasty Testimonials | Reviews for Dr. Philip Young Seattle | Bellevue: Click here to read more: Dr Philip Young Seattle Bellevue Testimonials | Reviews Rhinoplasty. 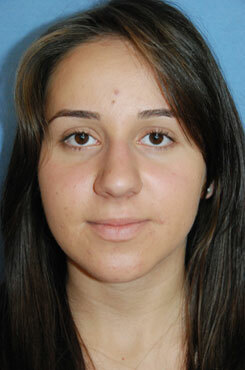 You can read more about Rhinoplasty by following this link. Rhinoplasty is the art and science of the shaping of the nose through surgical and non surgical means. We can shape your nose to more closely match what you are desiring or have been thinking of. What we usually do during your connsultation is take a few photos that we can morph to better get an understanding of what you are looking for. We use a computer morphing program called United Imaging. We actually do this 2-3 times at least before your procedure to really get an understanding of what you want. In general, you will have at least 2 appointments before your procedure. 2 weeks before we bring you in for an pre procedure appointment to review your health again and prepare for you for your procedure in more detail. 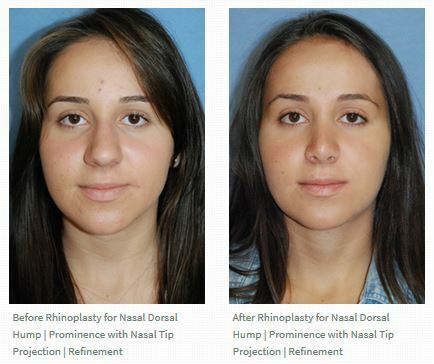 Why the Open Approach to Rhinoplasty? This is the newer way of doing Rhinoplasty. It is the feeling of many (to most) surgeons that the open approach is better for improved visualization of the structures and the ease of changing the structures and getting what you want through Rhinoplasty. Doing a Rhinoplasty closed hinders the view and makes it harder to make the changes necessary to get you the best results. How do you change the nose through Rhinoplasty? If you take a look at the picture below you can better understand what we are about to say. To make the tip smaller, we usually trim and shape the lower lateral cartilages. Many people are born with lower lateral cartilages that are bigger than others. Sometimes these cartilages are shaped in a way that makes the tip look bigger. When the lower lateral cartilages and more bowed out and less straight this can contribute to the bulbous look. We just trim the cartilages make them smaller and then make them straighter too. If you have a hump, we will take down the hump by shaving the top of the septal cartilage down and also by rasping or shaving the nasal bones and bridge down to match the computer imaging. You can read more here: Rhinoplasty Learn More. Our office is going on its 5 year of operations in Bellevue. Dr. Young was originally in Seattle for 3 years before that. 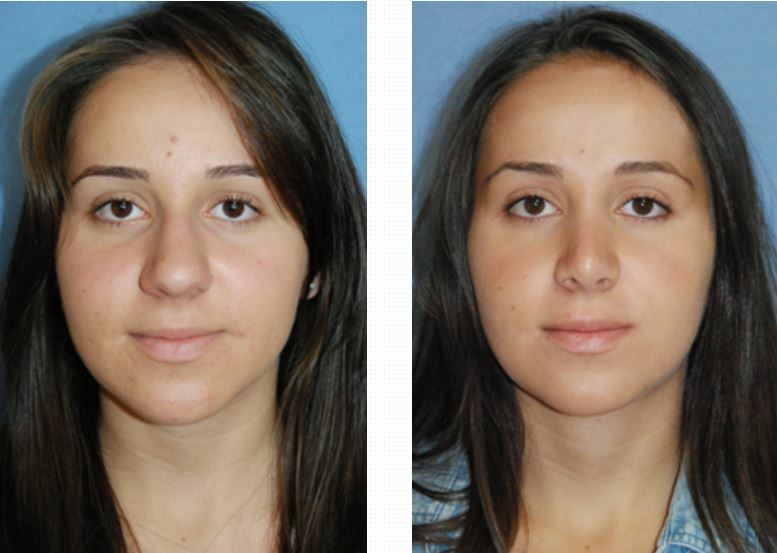 We would like to present some more of our Rhinoplasty before and After pictures for you to see. Dr. Young’s office and team have 2 basic elements that help them get the best results: 1. We have a better understanding of aging process; 2. We have a better blueprint | plan to achieve beauty within the face – ie Dr. Young’s Award Winning Theory on Facial Beauty Called the Circles of Prominence. Our theory plays an important part in our performance of our rhinoplasties as well. With this theory we are able to tell you how wide your nose should ideally be, how wide your nasal tip should be, how wide your nostrils should be, the ideal distance between your nose and mouth, and how long your nose should be, etc. These answers are crucial for getting the best results. We hope that our before and afters are able to exemplify this. Rhinoplasty – Open Technique the one Seattle | Bellevue’s Dr. Philip Young prefers: One of the things we do the most is Rhinoplasty here at Aesthetic Facial Plastic Surgery. With rhinoplasty we prefer the open technique. This approach is the best way to perform Rhinoplasty. The open technique refers to the little incision at the bottom of your nose that allows all of the skin of the nose to be lifted up so that you have direct visualization of the structures. Below shows a 2 month before and after of the incision that is at the bottom of the nose between the nostrils. See if you can find it. It is really hard to detect. We prefer this technique because we feel it is the most accurate way to perform Rhinoplasty. It is based on the most up to date techniques that are much harder to perform with a closed approach to Rhinoplasty. 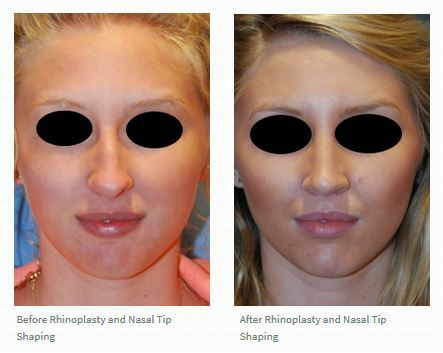 Below is a before and after picture of a rhinoplasty done with the open technique showing results from an oblique view. Notice how the incisions are really hard to detect and the results are excellent. Why choose us for your Rhinoplasty – Aesthetic Facial Plastic Surgery Bellevue: Choosing someone to do your Rhinoplasty can be a huge decision. After all, they will be operating a your face. The nose is one of the most important shapes on your face and changing it is the easiest way to make the biggest impact on your appearance. In contrast, the rhinoplasty surgery is not the easiest surgery. In fact, it is the hardest surgery that plastic surgeons have to do. If your plastic surgery, says that your nose will be easy he is not really telling you the full story in my opinion. We, Aesthetic Facial Plastic Surgery, have a lot of respect for this surgery and know that you can always get better. Well then lets talk about why you should choose us. First, we take more time than most in our opinion. Some say that we may be too slow. But we take our time with the most minute detail. For example, we were in a surgery on Thursday 8/16 and I was spending almost 20 minutes on just a small area on the bridge of the nose that was less than a mm in size. Although, this might seem excessive, I really wanted to make it perfect. Although, through a casual observers eye, you can notice those minor differences. Most surgeons would pass over this and say that it is close enough. My assistants can tell you that we go above and beyond to try to get the most perfect results. Perfect however is unattainable, but we really try to strive to ultimately be perfect. Second, we don’t put a large number of cases on in a day. In fact, 99% of the time you are likely the only rhinoplasty that day and only the main surgery for that day. We don’t believe in having consults or other office appointments after our surgeries because we don’t want to feel rushed to see people while we are in surgery. We want to take the time to get the best results. These are some questions I would ask your surgeon. Many surgeons put 3-4 rhinoplasties on in a day. To me that is too fast to get good results. With this speed there are a lot of things that will be missed and glossed over. Third, Dr. Young is fellowship trained and spent an extra specialized year beyond residency to learn just the plastic surgery of the face and neck. Fourth, Dr. Young has trained with the best plastic surgeons in the world and has learned from the best in the world through his travels, visits and during medical missions. He fairly recently went on a Vietnam Trip with a doctor that has done some of the most famous people in the world. Fifth, Dr. Young is always improving on his skills. On a regular basis, Dr. Young writes in his journal on his personal approach to rhinoplasty. Some surgeons have said that they have done 4000 -8000 noses in the past. This high number sort of assures you that they have experience. However, it has been my experience, that some of these surgeons do the 4001 rhinoplasty just like they did the first one. Talent plays a huge part towards how good a particular rhinoplasty surgeon is. Hopefully, with the talented rhinoplasty surgeon his 4001 rhinoplasty is a million times better than his first! Dr. Young tries to face each rhinoplasty surgery as his first one with all the wonder and excitement. But he tries to carry our the manuevers and complete the rhinoplasty like he has done a million of them. Sixth, we spend a lot of time listening to you so that we can really get your thoughts on what you want with your nose. This helps us tremendously during the procedure. We will ask you questions like, if you were to choose would you lean toward having your tip smaller or larger than the computer morphed picture that we create together. For your bridge, would you want me to skew towards making a stronger bridge or would you prefer more of a reduction and more of a slope to your tip. These are nuances that we like to have before going into the procedure. Our minor adjustments are more easily made with these thoughts in mind. Seventh, we use computer imaging to get a better idea of what you want. Although, it is not entirely possible to create the morphed pictures exactly the way we design, we do all we can to come as close as possible. Most all of the time, we will ask the other staff to look at the before and afters to see if we have come as close as possible to get a second, third or fourth pair of eyes to judge where we are in the rhinoplasty process. We do this as a team.